Bits & Scraps Of My Life: Scrap it with a song week #20!!! Isn't she lovely???? Scrap it with a song week #20!!! Isn't she lovely???? And this week we have a beautifully written song by Stevie Wonder.........Isn't She Lovely!! It's so hard to believe that we have been at this for 20 weeks now!! Ya'll must like us cuz we are still here!!! I am so proud to be a part of this team. And also a little sad that this is the first week I have missed having a reveal too! Wahhhhhhhhhhhhhh!!! It's ok......life happens sometimes and it rarely does so when you are well prepared. So this week I am sitting out and ya'll can see everyone else's amazing pages! And as I said this is such a beautiful song. It's one I wasn't familiar with so I googled and found the lyrics and they were so sweet!!! And I wanna tell ya, don't think these lyrics can't work for a boy too.....it may take a little extra effort but I totally had ideas pop in my head, and we all know I have 5 boys...NO girls!!! I just didn't have time to do anything for this challenge. The lyrics are about his sweet baby girl.....very moving song!! We have an AWESOME sponsor this week.........Crafty Ribbons!!! And OHHHH MY GOSHHHHHHHH look at what they are givng the winner this week!!! Um....no, not the shoe......LOL. Altho it is darling!!! Lookit all of that ribbon!!!!! They have offered up to the winner the most awesome of goodie packages....their entire Velvet Bling ribbon collection!!!!! Velvet!!!!! And BLING!!!!!! :):):) TOGETHER!!!!!!!!! Be still my heart!!! 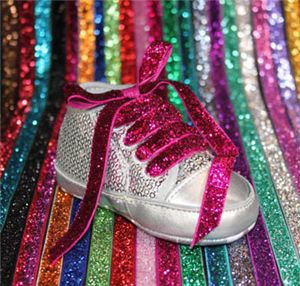 There are 20 jewel colored 10mm woven velvet ribbons that are heavily glittered with a fabulous bling that won't fall off!!! Totally drool worthy, is it not?? So if you are new to our little challenge, it's so easy. Simply create a card, layout or other project inspird by the song lyrics or title. Link us up and the winner will be announced next Sunday! Easy peasy baby!!! And on a sad note we have a couple of our designers stepping down this week :( School is back in sesion across most of the country now and Hannah and Jess are back in the classroom. PLEASE be sure to drop by both of thier blogs (just click thier names) and tell them how much you have enjoyed thier beautiful creations and wish them well! Are you ready to get crackalackin??? Good luck!!! Tina, I'm so glad that Bob is back home.... Glad to see you taking a little break.. You take care of yourself gf!!!! Hugs!!! Thanks for your kind words! I'm going to miss working with the lovely ladies of this DT!